Nokia has just subtly announced that they will be taking out the word ‘Symbian’ from their smart devices and calling it Nokia Belle. By now we should all know that Symbian will be phased out by 2016 and Nokia has worked hard to revamp the remaining life of it by introducing Symbian Anna and now Belle. 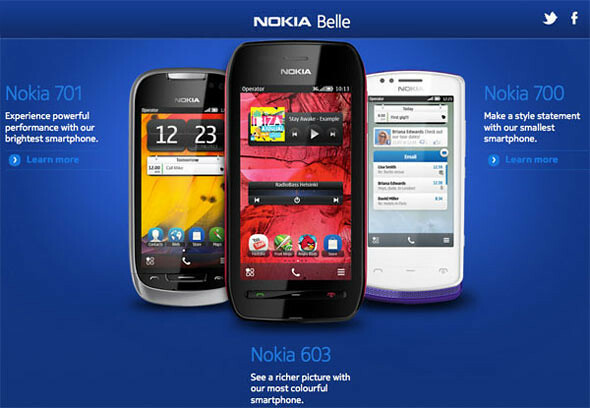 Nokia Belle is currently available on devices like Nokia 701, Nokia 700 and Nokia 603. Older devices like N8, C7 and C6 will be able to get the Belle update next year. Nokia Belle brings you more home screens, expanding the current three home screens you get with Nokia Anna to six. That’s more screen real estate to host your apps and widgets. The home screen widgets have been improved and made more functional than before. Plus some of them, such as the email widget, give now much more information making reading emails much easier at a glance.